Whopper's Bunker: Optimus Prime Transformers Movie Picture! 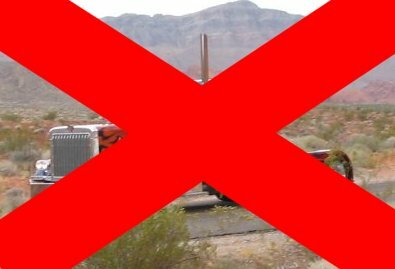 This is the picture that Mike Bay and Paramount don't want you to see (less the big red X I stuck on there obviously) of Optimus Prime in Truck mode. I'm not completely surprised that they didn't go with a Cabover semi because they aren't that common today, but I didn't see the flame type of deco coming. It doesn't say Prime to me, but it does have potential. I'm reserving judgement until we see robot mode pics. It's obviously real, since they had AICN remove it, but it's still up in a few places on the net for all to see. I'd like to link them for you but if I do then those sites pictures will be taken down too if not their whole websites like heavy-handed Paramount have done recently. In related news I do have this from Youtube! 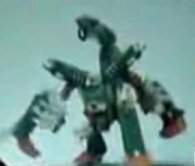 It has Steven Speilberg talking about Transformers and Mike Bay and we see a lot of grainy footage.